Purchase tickets for the Nightbird reading online at www.brownpapertickets.com/event/353577. 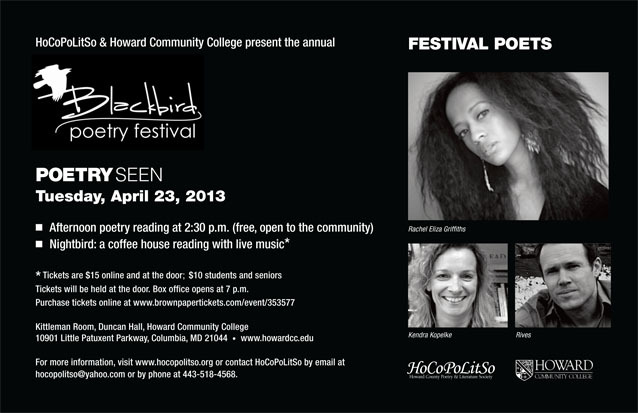 Link to the Howard Community College page on the Blackbird Poetry Festival. Image | This entry was posted in Poetry and tagged Blackbird Poetry Festival. Bookmark the permalink.